With over fifty years of experience in the steel industry, we know steel. 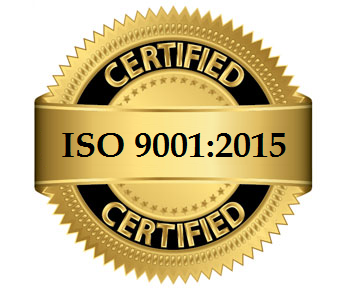 As an ISO 9001:2015 certified prime flat rolled steel service company, Camden Yards Steel specializes in the processing and distribution of full truckload quantities of flat rolled steel. We take great pride in the personal attention each of our customers receive and stand behind the expertise and knowledge used to make decisions about how our products and services can best serve existing and new clients. Headquartered in the South Jersey Port Corporation, Camden Yards Steel's two locations in Camden, NJ and West Columbia, SC service and supply the flat rolled steel needs of our satisfied customers across the entire eastern United States. "To consistently provide customer value and satisfaction in our products and services through continuous improvement." We have in-depth relationships with every high quality domestic and foreign flat rolled steel producers and can quickly get you the answers you need, including access to mill metallurgical support, pre-paint technical staff, assistance in product design, and cost reduction efforts. Camden Yards Steel has one of the largest inventories of metals in the service center industry. We welcome the opportunity to develop Special Stocking Programs and Contract Partnerships. Tell us what you need, where you need it and when you need it. We’ll handle the rest. Camden Yards Steel offers more productive procurement professionals, updated sales information, faster transaction processing and improved scheduling, and better overall inventory turns. We own our own fleet of trucks, and have rail side delivery into our plants, greatly reducing freight costs normally passed on to customers by other processors. Our flat rolled steel fabricating equipment is the best on the market and can cut material to any length. We also have the ability to cut and flatten material up to and including 96" wide. Sign up to receive the latest steel news and updates. Thank you for signing up. As a reminder we never spam or share your information with third parties.